Founded in 1981 Jesters Hearing Aid Center has been owned and or operated by Robert Jester. Robert is a California licensed hearing instrument specialist (HIS) and is nationally board certified. He continually attends advanced training seminars provided by the best hearing aid laboratories in the U.S. Among his specialty areas are the specialized fitting of the new invisible hearing devices. Robert provides hearing services to the Hemet community and surrounding areas including: San Jacinto, Idyllwild, Homeland, Romoland, Menifee, Temecula, Murrieta, Perris, Banning, Beaumont, Yucaipa, San Bernardino, Riverside, Moreno Valley, Winchester, Sun City, Lake Elsinore, Wildomar Canyon, Lake Cabazon, Fontana and some come from different counties. His staff includes Bailey Dixon Hearing Instrument Specialist, Silvia Jester, office administrator, Steve Phillips, Julie Bowker and Brianne Seward receptionists. Jesters Hearing Center offers the top-most professional level of listening aid services including audiometric testing, hearing aid fittings, and otoscopic examination. We are an independent company and not owned by a large corporation. Because of this, we can offer individualized customer care. Our center provides hearing aids for clients dependent on personal preference and budget. Our goal is to offer each client the very best care possible based on unique needs and to provide an enhanced quality of life that you deserve. There are more than 30 million people in the U.S. living with hearing loss. The first step to better hearing is to visit a hearing instrument specialist who can evaluate your problem. Robert has years 35 years of experience in assessing hearing deficits and fitting hearing aids. Robert has been a licensed hearing aid dispenser since 1981. 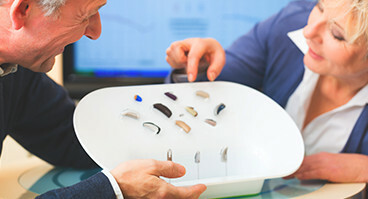 Robert is knowledgeable about the most advanced hearing aid technology and can help you select the most appropriate solution for your unique lifestyle and hearing requirements. His is board certified as a hearing instrument specialist, licensed by the state of California, and registered with the Department of Health. At Jesters Hearing Center, a compassionate and kind staff of hearing professionals will greet you. The hearing instrument specialist will evaluate your hearing loss, and recommend a solution based on your results.